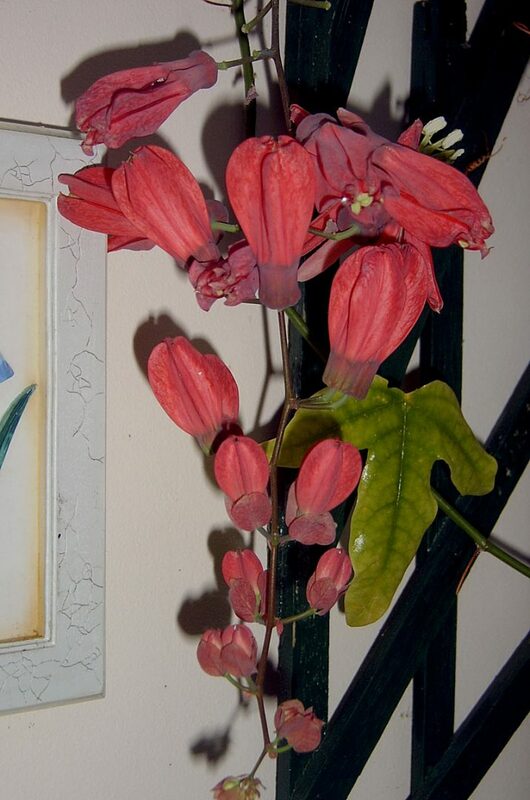 n. kind of inflorescence with flowers borne on footstalks up a central stem. 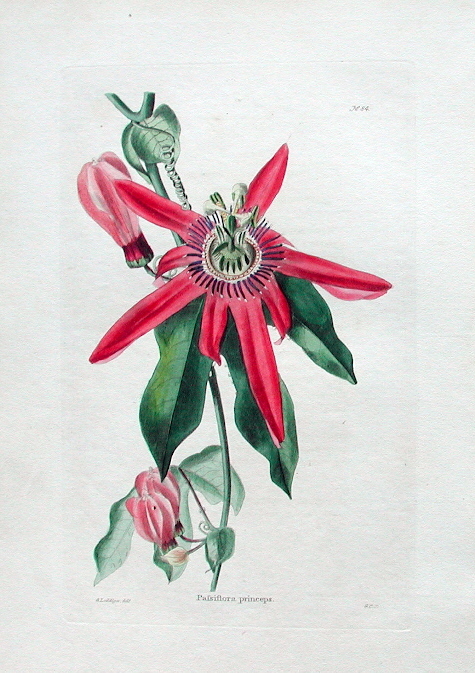 Passiflora racemosa. 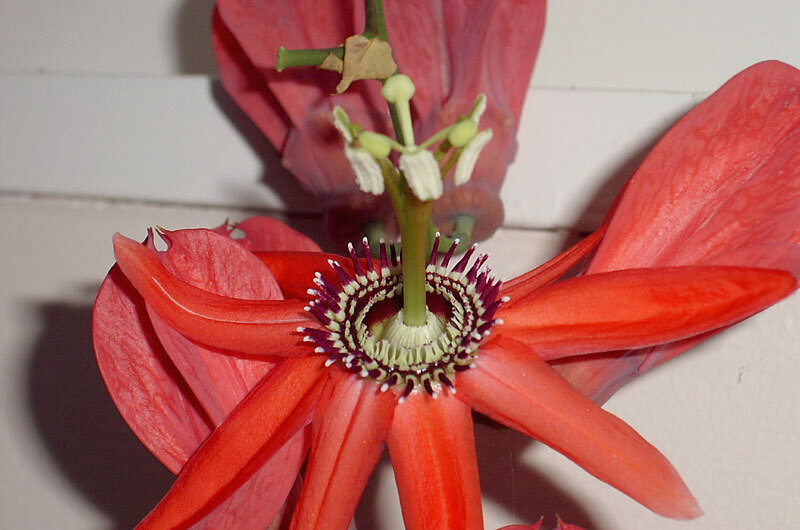 In about 2002 Mark Cooper kindly sent me some wild collected seed from Brazil from an unidentified red flowered Passiflora. 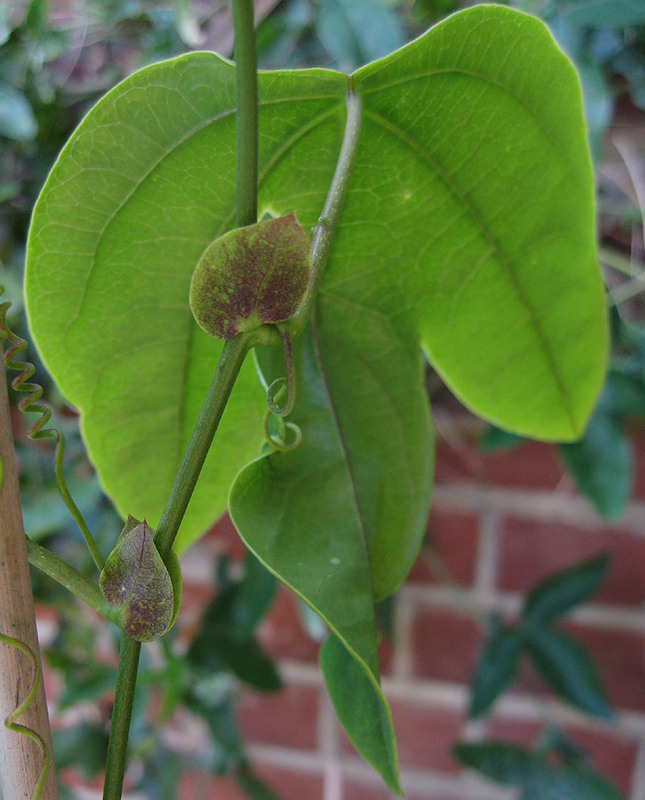 Only a few seed came up and all appeared to be P. tarminiana. 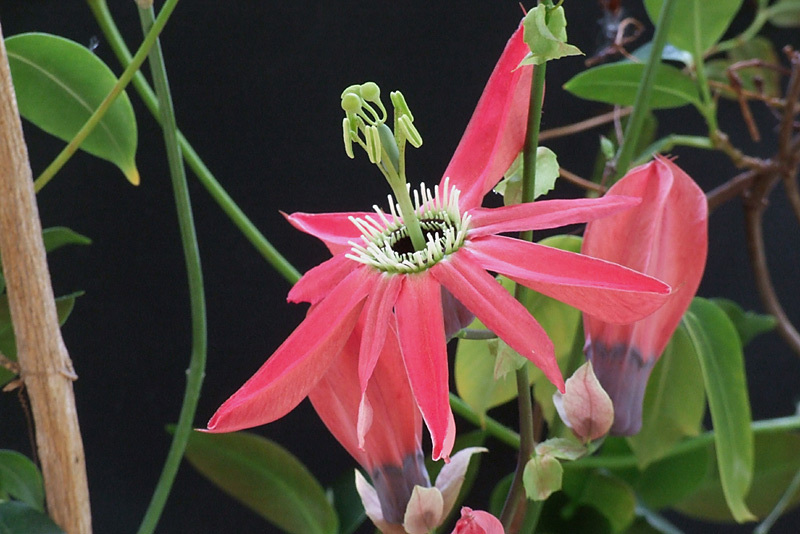 I did think it odd though as P. tarminiana is pink. 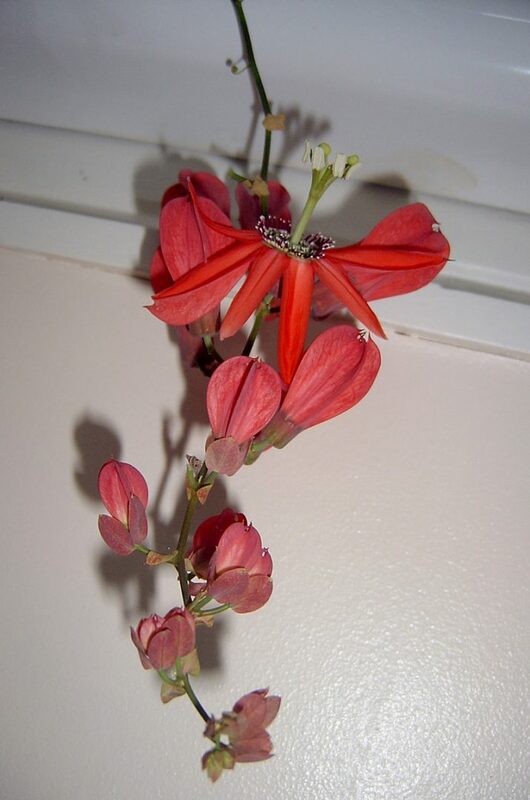 I gave one very young seedling to Owen Davies believing it to be P. tarminiana. 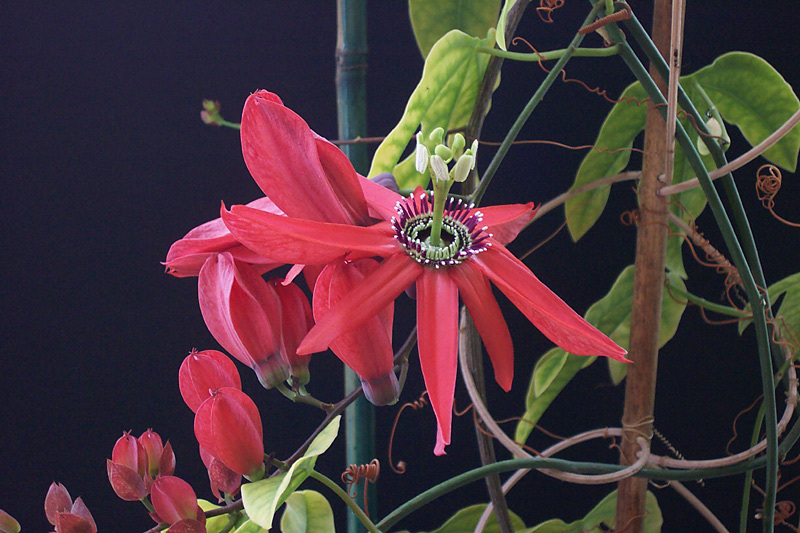 I thought no more about it till in 2006 Owen tried to describe the flowers as red and how they were growing in an odd manner. I didn’t believe him to be honest & asked him to take some pictures. 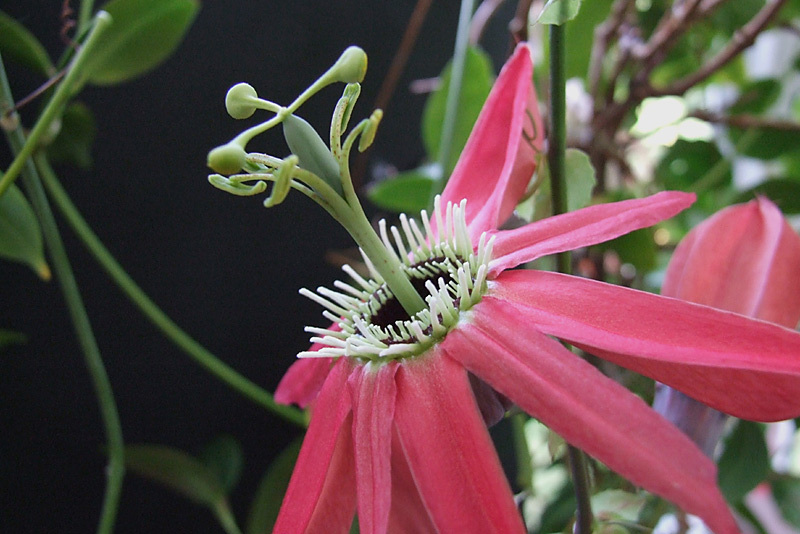 The P. tarminiana was in fact Passiflora racemosa! 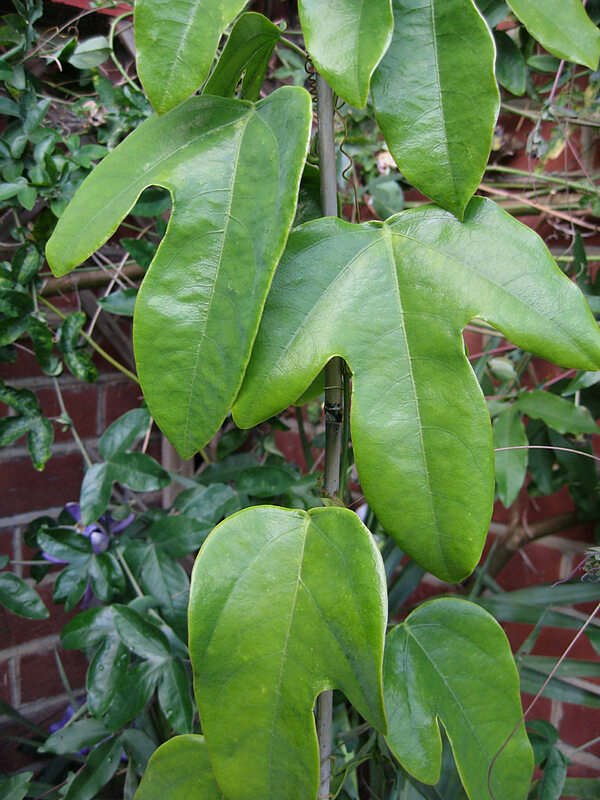 Passiflora racemosa is a variable species. 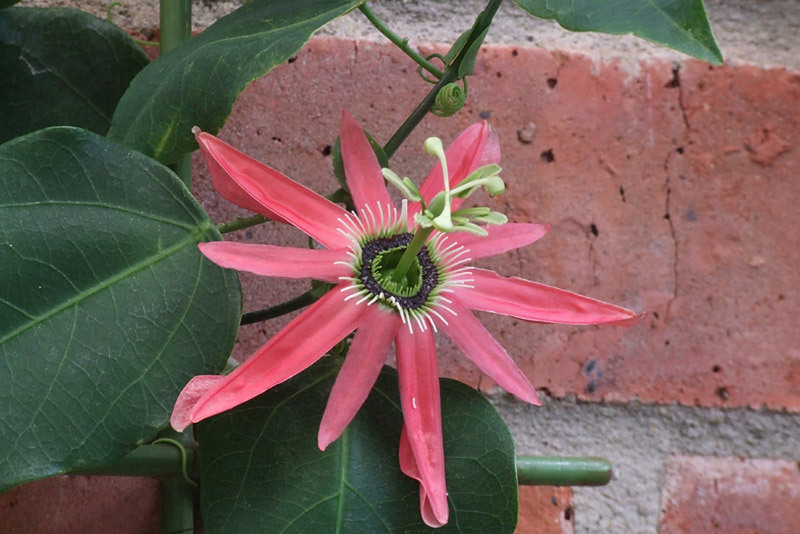 It is a stunning plant which unusually for a passion flower produces racemes, chains of flowers with no leaves, with up to 30 flowers on them. 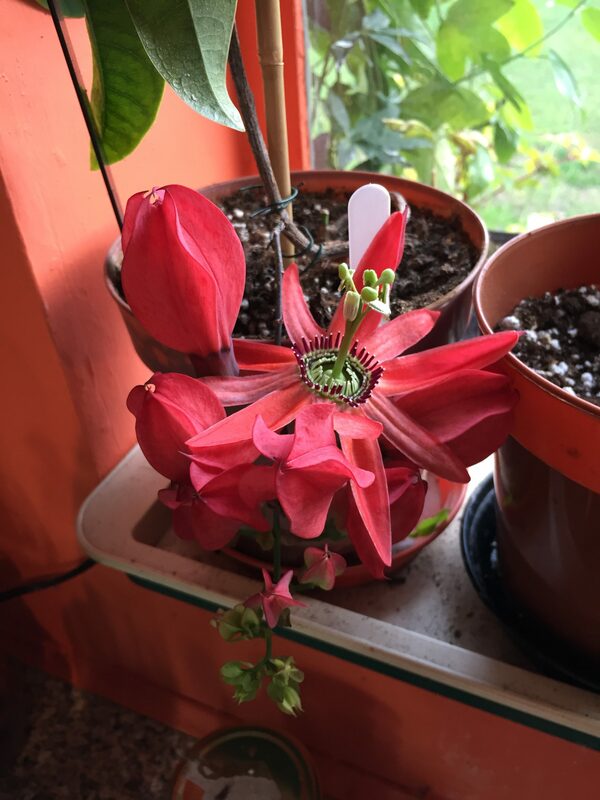 Sometimes there are two flower buds at one joint so technically they may be pseudoracemes? 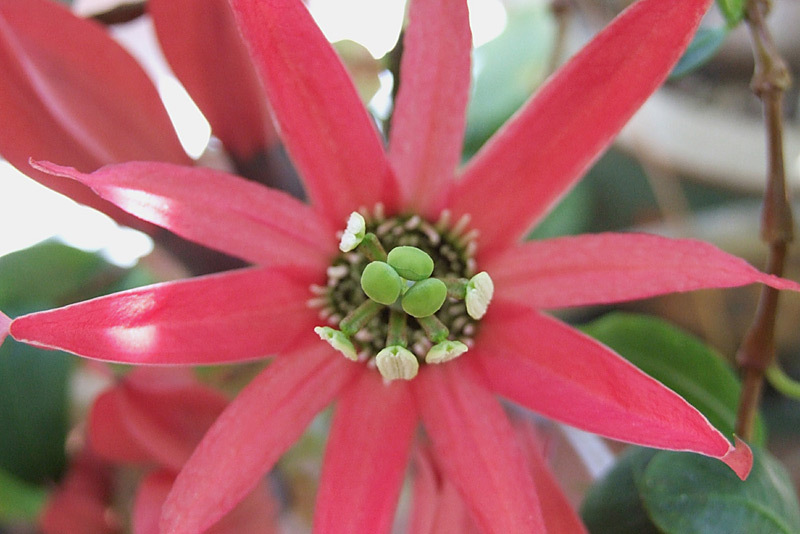 Killip comments that leaves can be three lobed or entire with the colour of the flower varying from red to white. Also the series of three corona filaments are variably banded and coloured from white to predominantly reddish/purple.